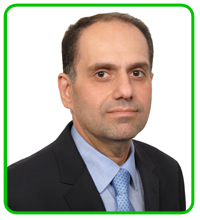 Iraj started his career in accountancy in 1987 and qualified as a Chartered Accountant with the ACCA. He has had a long and varied career within finance functions across a wide range of industries, and brings with him a wealth of knowledge gained from his many finance roles in industry. 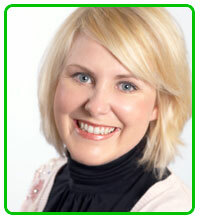 He is the principal partner & the primary contact for most clients having set up the firm in 2009. Prior to setting up Blue Accountancy, he held the position of Accountant and Financial Controller at TRI Hospitality Consulting as well as Birse Metro (a division of Birse Plc). He also has a good understanding of financial services, IT and Telecommunications businesses as well as food retail, pubs, restaurants and hotels having spent many years in the industry as financial controller for a chain of restaurants as well as various other companies in the food industry. As senior partner at Blue, Iraj always has a commercial and practical outlook on the finances of small and medium sized businesses and can offer practical and easy to implement solutions to most problems. She started her career at CCD which is a venue finding company, this gave her the foundations of becoming skilled in research, sales, networking and working with clients at all levels of business. For her next move she focused on her ability to sell and took a position as Corporate Sales Manager at the Crowne Plaza London Docklands. Here her organisational skills were developed even further along with the opportunity to use her creative side in events/conferences as she hosted and created exhibition stands and client events. Her role at TRI Hospitality Consulting gave her an insight into the development side of the industry. She has produced annual publications, liaising with conference organisors to create platforms for TRI as well as working on joint events and the company’s annual event for up to 350 guests. She was also heavily involved with the development of the TRI web site and has in depth knowledge of techniques to ensure the site achieves high organic SEO placings on Google. Claire can help your business to thrive with the wealth of knowledge that she has and her creativity and ideas are second to none. Parag is a Chartered Accountant who qualified with PriceWaterhouseCoopers, as well as having a Batchelor’s degree from Oxford University, has experience in many different industry sectors. His career has spanned several high profile companies including BT Broadband as well as other Media and IT businesses, in several countries including Dubai and Australia. His achievements in business have been impressive generating significant improvements in profitability as well as increasing market share of the businesses he has worked on. Parag is a very pragmatic business coach who can help businesses see opportunities and help them to deliver improvements in both financial performance and profitability, with changes to their internal systems, better staff training, and changes to their sales and marketing strategy. 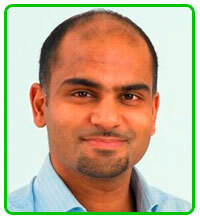 Parag is currently coaching the winner of the 2010 London Business Award for Marketing. 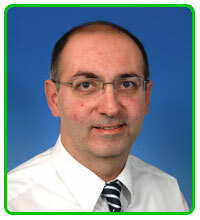 Ricky Elias is in charge of Blue’s bookkeeping and payroll services. Ricky’s accountancy career began at age 17 in the clothing and textiles industry. He has excellent skills on Sage Accounts software and is very attentive to client assignments and is very efficient at delivering work on tight deadlines. If you have already read the Time Management article, then you are now ready to read this next part. Many businesses often complain to me that they are always broke or never have enough money to pay their suppliers, tax, VAT and other outgoings.